Jeremy Oliver is one of Australia’s foremost wine writers and presenters and this country’s most influential wine presence throughout Asia. He is a widely read and fully independent wine commentator whose words are published in several countries and languages. In late 2005 he was named the inaugural Wine Writer of the Year by the widely circulated Australian Wine Selector magazine and with the publication of Enjoy Wine with Jeremy in Mandarin in 2008, he became the first western wine critic to create and publish a book in China especially for the Chinese audience. Click here to see Jeremy talking on WineVine.tv about his role and background as a wine critic. In print, Jeremy is best known for his 19 editions of The Australian Wine Annual. It was the first Australian wine guide to be published in Chinese and since 2012 six editions of this best-selling guide were published in Mandarin. Jeremy also operates the wine information website, www.jeremyoliver.com and is a polished wine presenter and popular host of corporate and wine-related events from New York to Beijing. He has hosted most of the leading wine events in Australia including the Maurice O’Shea Awards. Today Jeremy Oliver works internationally in an ambassadorial capacity for Australian wine, having forged close relationships with Austrade, Wine Australia and the Victorian Government. Born in late 1961 at Ballarat, Victoria, Jeremy Oliver was educated in Australia and England, where he spent several years as a child. He attributes much of his love for wine to his father’s enthusiasm and attitude towards it and by the time he completed a Bachelor of Agricultural Science at the University of Melbourne, he had decided to find a career with wine. After a year in Coonawarra, during which he worked firstly at Lindemans and then at Katnook Estate, he studied winemaking at Roseworthy College as a postgraduate in 1984. Later that year he published his first book, Thirst For Knowledge, in doing so becoming the youngest-ever published wine author in the world. A light-hearted but informative guide, it was fully updated two years later as More Thirst for Knowledge. By this time, Jeremy Oliver was running his own wine courses and contributing to a range of publications including The Age in Melbourne, for whom he wrote features and reviewed new releases. Shortly afterwards he released a wine biography of Len Evans entitled Evans on Earth. Jeremy Oliver then released a series of three books entitled The Australian Wine Handbook, a guidebook rating both current and back vintages of Australia’s most important wines. This concept served as the inspiration for Jeremy Oliver’s present releases of The Australian Wine Annual, first published in 1997. Since then, it has become one of the most influential and eagerly anticipated books on Australian wine, featuring his sought-after tasting notes, ratings and commentary. 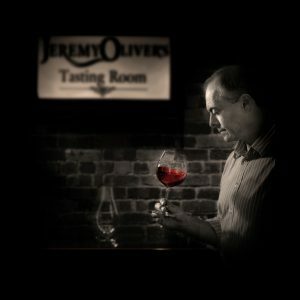 Now in his 34th year as a professional wine critic, Jeremy Oliver has authored 29 books, written for dozens of publications in Australia, the UK, the US, Russia, Korea, Singapore, Japan and China, and has made hundreds of appearances on radio and television. He is deeply committed to Australian wine, but is not afraid to be critical of it when he believes the occasion demands. Jeremy Oliver believes that his technical background, the regular opportunities he enjoys to fine-tune his palate with the best in the business, his work ethic (he tastes thousands of wines each year) and his constantly renewed enthusiasm for wine will create many future opportunities to contribute to the understanding and enjoyment of wine throughout the world.